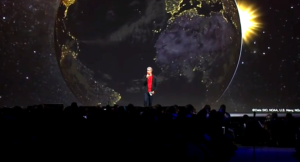 Last week Google announced a slew of new features and updates to its increasingly ubiquitous platform at annual Google I/O developers conference in San Francisco. As a heavy Google user I’m excited about most of the changes and anticipate the continued growth of Google+ (now larger than Twitter) as a professional learning network (CTL uses several social media platforms like Twitter, Facebook, Google+ and LinkedIn) but what really grabbed my attention was the new search features. No longer is searching limited to a string of words, Google has increased the sources of data it uses in order to provide more customizable results. This works in normal Google searches but the new Google Now and Google Maps really showcase the power. By using multiple sources of data Google is able to provide more engaging and usable results like restaurant suggestions in a new town or city based on your preferences where you live and even what your friends recommend. With Google Now you can get “just in time” suggestions and information for upcoming travel plans, things to do in the area, financial information and more. What if schools and teachers operated similarly? Masterful teachers excel in engaging their students and the more they know about their “consumers” the more effectively they can tailor their approach to match interests. What do students like to do and think about? What problems do they wish they could solve? What kinds of background knowledge and experiences can they bring? Moving from teacher-centered to student-centered instruction means really working to design instruction that more closely matches student passions and intrigue. More engaging school means a reduction of many other obstacles like behavioral issues and compliance. Pulling information about students from multiple sources and being responsive to the results can lead to a more agile classroom that turns students into “heavy users” of school replacing an adversarial relationship. Taking advantage of the social nature of students can exponentially leverage the relationships and relevance of a school and classroom in a way that benefits all stakeholders and this means going beyond the traditional textbooks and interest surveys to think differently about our practice. Using data from test scores is only a small piece of the puzzle. What formative assessments are you using to gather information about student learning? What kinds of structures are in place for students to share themselves in a non-threatening environment? What other methods can we use to personalize the learning environment and increase engagement? As the advancement of technology that surrounds us changes our lives for better and for worse educators have a moral imperative to think differently about our approach to teaching and learning. With a future full of ill-defined problems we have a responsibility to prepare self-evolving learners. Establishing a culture with norms and systems to connect students to real world and authentic learning requires 21st Century thinking by adults. We know students will share their thoughts on what they enjoy and what they dislike so let’s take advantage of that to create a better educational experience . 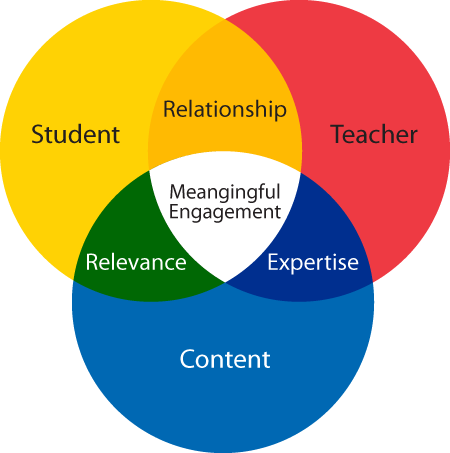 This entry was posted in Blog and tagged data, education and technology, personalized learning, student centered learning, student engagement, student motivation. Bookmark the permalink.